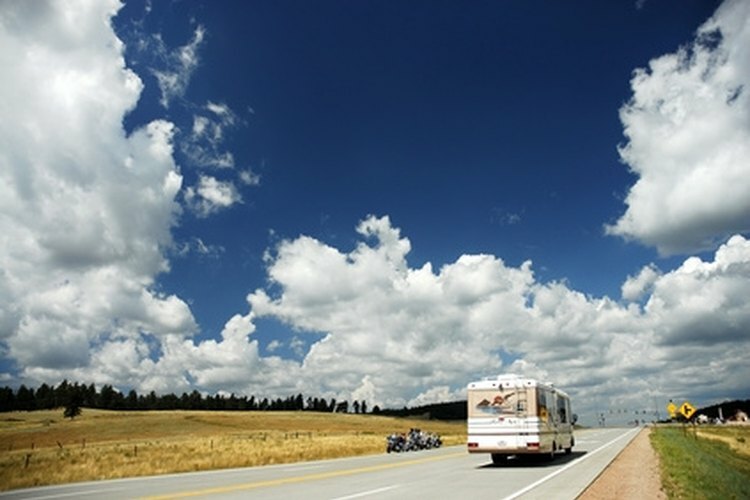 Active and retired military personnel can travel the USA by RV, staying at bases along the way. RV parks located on military bases offer deep discounts for active, reserve and retired military personnel and their families. Some also provide a spot for families of soldiers graduating from basic training. The campgrounds often offer access to all the amenities of the base. Whether you're a veteran traveling the country or a current member of the military looking for a relaxing vacation with your family, military RV parks can be found on bases around the United States. Located on the grounds of Parris Island, a Marine Corps base, the Parris Island RV Park has 18 RV sites with water, sewer and electrical hookups and picnic tables. Facilities at the park include a laundry facility and bathrooms with hot showers. The park is open to current and former military members and guests of graduating Marines. Reservations are required at least five days in advance. Attractions close to the park include Legends Golf Course, Elliot's Beach, Parris Island Museum and the base commissary and exchange. Rocky Point Recreation Area RV Park is located on the grounds of the Whidbey Island Naval Air Station. Home to 23 RV campsites, daily and weekly rates are offered with ocean and mountain views. No sites are equipped with hookups, but generator use is permitted. Guests have access to an indoor shelter, picnic tables, large BBQ area, bathrooms, beach volleyball, horseshoe pits and playground. Reservations are not taken and camping is on a first-come, first-served basis. Gallery Golf Course is nearby, as well as beach access. Located at the Army National Guard's Camp Grayling, the Camp Grayling Trailer Park is home to 70 wooded sites that can accommodate RVs and motor homes of all sizes, as well as tents. All sites offer water and electrical hookups and most offer sewer as well. The park is located on the banks of Lake Margarethe, where guests can boat, fish or swim. Amenities include a bathhouse, barn area for large gatherings and a playground.